(BBC) David Cameron has agreed the terms of a judge-led inquiry into claims British agents were complicit in the torture of terror suspects, the BBC understands. The PM is understood to have agreed it could offer compensation if it shows they were tortured and UK agents knew. 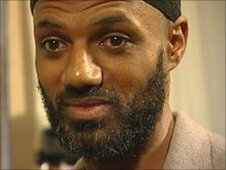 The Tories and Lib Dems have long urged an inquiry into UK resident Binyam Mohamed’s claims that security services were aware of his torture. The former Labour government insisted the UK did not use or condone torture. British security services say they do not collude in torture. Foreign Secretary William Hague confirmed in May there would be a “judge-led” inquiry to the allegations. Details could be announced as early as this week, the BBC understands. It is understood that the inquiry will offer compensation to people found to have been victims of torture carried out by foreign security services, but with the knowledge of British intelligence officials. The prime minister’s spokesman would only say an announcement would be made “in due course”. Ethiopian-born Mr Mohamed says he was tortured after being held in Pakistan in 2002, and subsequently moved to Morocco and Afghanistan. He says agents from the UK’s MI5 knew about this and fed questions to his interrogators through the CIA. Mr Mohamed was transferred to Guantanamo Bay in Cuba in 2004 and was freed last year, after charges of involvement in terrorist plots were dropped. He says the only evidence against him was obtained through torture. But he said an inquiry could not take place until criminal investigations already under way had been completed. The Metropolitan Police are investigating the role played by a number of British security agents in Mr Mohamed’s interrogation, after a request by former Attorney General Lady Scotland. Lord Carlile also said he hoped the judge would be assisted by people with experience of the security services world and would not expect the entire inquiry to be held in public, for national security reasons. On Tuesday the Human Rights Watch group demanded that guidance given to UK intelligence officers interrogating suspects overseas be published “without delay”. But, speaking to the BBC last year, the then head of MI6 Sir John Scarlett said there was no torture and “no complicity in torture” by the British secret service. “Our officers are as committed to the values and the human rights values of liberal democracy as anybody else,” he said. The chairman of the all-party parliamentary group on extraordinary rendition, Conservative MP Andrew Tyrie, said: “This inquiry can only be of lasting benefit if its remit is wide enough to include not only complicity in the torture of terrorist suspects, but also allegations of complicity in extraordinary rendition. Shami Chakrabarti, director of human rights group Liberty, said: “This investigation must be independent, judge-led and have broad powers to call evidence and make as much as possible publicly available.